Starting in Queenstown, the adventure capital, spend some time relaxing or enjoying the many wonderful activities here. A full day trip to Doubtful Sound including a Wilderness Cruise is included. Head north to the wild West Coast and the unique glacier region before crossing the Southern Alps to the Pacific Ocean and its abundance of wildlife at Kaikoura. A day to sample the fine produce of Marlborough before heading into Abel Tasman National Park, famous for its golden sand beaches, great walking tracks and kayaking. Complete the coastal loop by exploring the history rich north west coastline from Westport to Greymouth before taking the Tranz Alpine train across the Alps and into Christchurch. Delve into an ancient wonderland of stalactites, stalagmites and glowworms in the enormous Nile River Caves. At the Charleston Base you'll be equipped with caving helmets, coats and boots and the taken to the Nile River Rainforest Train where you'll travel through the forest before exploring the dry upper levels of the Aranui Entrance series. Recently discovered, the Metro cave is one of only several caves in the world left in a natural unspoilt state. This trip is suitable for anyone that can walk unassisted for two hours on uneven surfaces. On the South Island's rugged West Coast rests a slice of Kiwi heaven just waiting to be explored. The Hydrangea Cottages offer secluded, spacious and stylish accommodation within a stone's throw of one of New Zealand's most treasured and spectacular coastal landscapes - the Pancake Rocks. 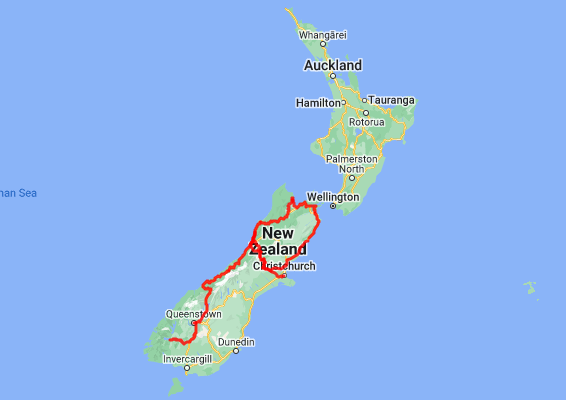 Today you’ll head south towards Greymouth, before turning onto State Highway 73 as you make your way to Arthur's Pass. 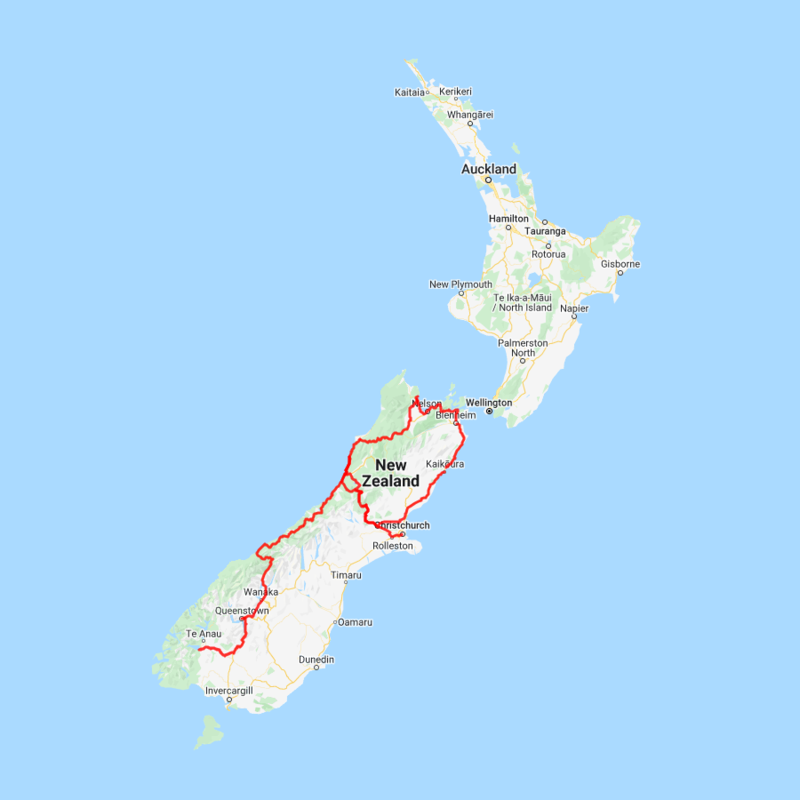 Winding your way up and over the Southern Alps, this route takes you through some of the most spectacular scenery in the country - even in the rain when hundreds of waterfalls cascade down the bush clad hillsides. Originally the road was used as a pass by the Maori as they made their seasonal passage to collect Greenstone in the West Coast mountains. Following the 1800’s gold rush a road and railway was developed through the area. Today, the railway is used predominantly for the world renowned Tranz Alpine Scenic Train, transporting several hundred tourists per day from Christchurch to Greymouth - or the other way round. Continue on through the Otira Gorge, before arriving at your destination for the night, Arthur’s Pass. Note: If you're feeling like a more leisurely drive, there is the option to take a more scenic route around Lake Brunner. Well signposted, this road begins just before the town of Kumara. In a quiet location, close to town you are staying in the heart of Blenheim, surrounded by the world famous Marlborough wine growing area and just a few minutes’ walk from a wide variety of restaurants & bars. Shantytown is a faithfully restored replica of an 1860's West Coast gold mining town. It is a living monument to the hardy pioneers who forded the wildly exotic rivers and streams and scrambled through the rugged subtropical rainforest in search of their fortunes. A 20 minute ride on one of the original bush steam trains takes you deep into gold country. Among the collection of pioneer relics and Kiwiana that has come to comprise Shantytown's unique and valuable collection are some true gems. This vast and significant collection is housed in over 30 historic buildings, enabling you to wander your way through the town as interlopers into a bygone era. You'll also get to try your hand at gold-panning under the helpful tuition of the highly experienced gold claim staff. Located just south of the city centre Charles Court Motel features 1,2 and 3 bedroom units all with kitchen facilities. Also access to the beach is easy and other facilities include a swimming pool, BBQ area, and children's playground.